My preferito clothes of Padmé. I have not put them in order of favorites. Which is your favorite? a comment was made to the poll: Which Walt Disney Princess would te say she resembles the most personality-wise? 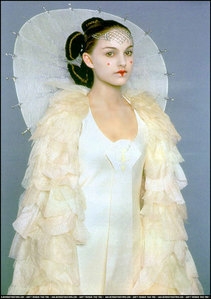 Which country was Padmé's Parade toga, abito inspired from?